Canon has been very active in the area of nation-building over the past years. Guided by its corporate philosophy of kyosei which means living and working together for the common good, Canon has launched several banner programs for its Corporate Social Responsibility (CSR) projects ranging from social welfare development to educational efforts to environmental and cultural conservation and preservation. These programs are part and parcel of Canon’s aim to continuously uplift the community where it serves. Canon has embarked on efforts geared towards reinforcing education. Its first effort was in partnership with Canon’s regional office in Davao. Through different fund raising initiatives, the Layag-Layag Project was born. This initiative provided Layag-Layag village with four (4) medium-sized boats which they used as the primary mode of transportation for children who previously braved chest-deep waters to reach their school. 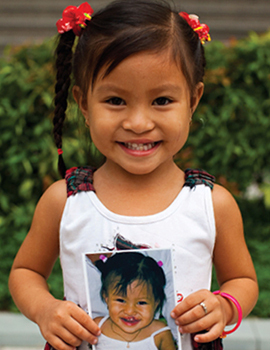 Canon started Print for Smiles to help Operation Smile generate funds for the free reconstructive surgeries they give to children with cleft lip and palate. Through Print for Smiles, customers can have their photos printed using Canon Large Format Printers for a very minimal cost. While the program helps support numerous operations, it also promotes the impeccable printing quality and service of Canon products. Canon has long been an advocate for environmental consciousness and action. Its ongoing aim is to make high-performance products that consume less energy and implement programs to educate and encourage contributions to the earth’s sustainability. Among the number of these successful efforts are: the Bachang advocacy which aimed to restore the rice terraces of Banaue which was devastated by typhoons and landslides, consequently winning the Anvil Award of Excellence from the Public Relations Society of the Philippines (PRSP); the Sagip Agila project in partnership with the Philippine Eagle Foundation and Environmental Education program with the Miss Earth Foundation. Canon has created Canon Project Rebuild (CPR),a disaster relief project intended to respond to crises and calamities. Canon not only aspires to reach out to those in need, but more importantly to give genuine joy and sustained support to any victims of calamity. 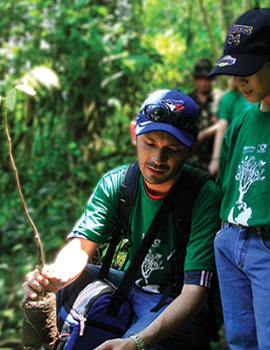 Through CPR, Canon has also promoted the spirit of generosity and volunteerism among its employees.